It’s not your fault. Good personal organization isn’t taught in school or at your job – either you have it or you don’t. Strong closet organization means you’re seldom at a loss for what to wear and how to find it. Weak organization means you burn time and mental bandwidth every time you have to get dressed. Think about it: when was the last time you paused in front of your closet, staring blankly, until you just grabbed something? I’m willing to bet it was today. This morning. The problem for anyone – even if you don't have a ton of clothes – is being able to see the trees from the forest when it comes to your day to day style options. 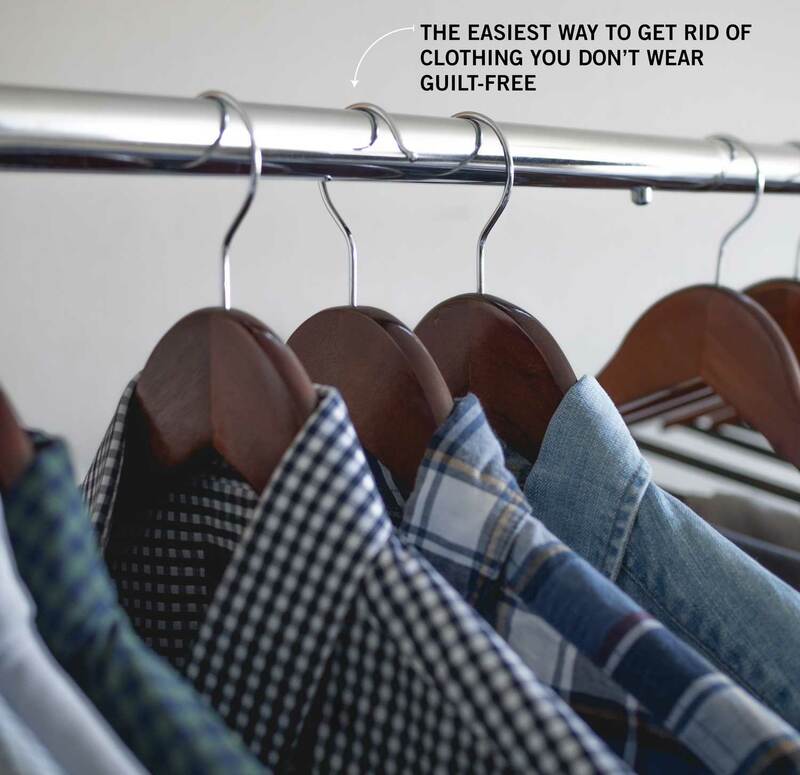 Dressing well isn’t just about having the right stuff – you need to be creative, varied, and smart about how you combine it, and that means creating the conditions for success: clear closet organization, clear choices, and minimal clutter. You know the closets you see in movies. Immaculate and perfectly thought out? That can be yours. The question is – where to begin? 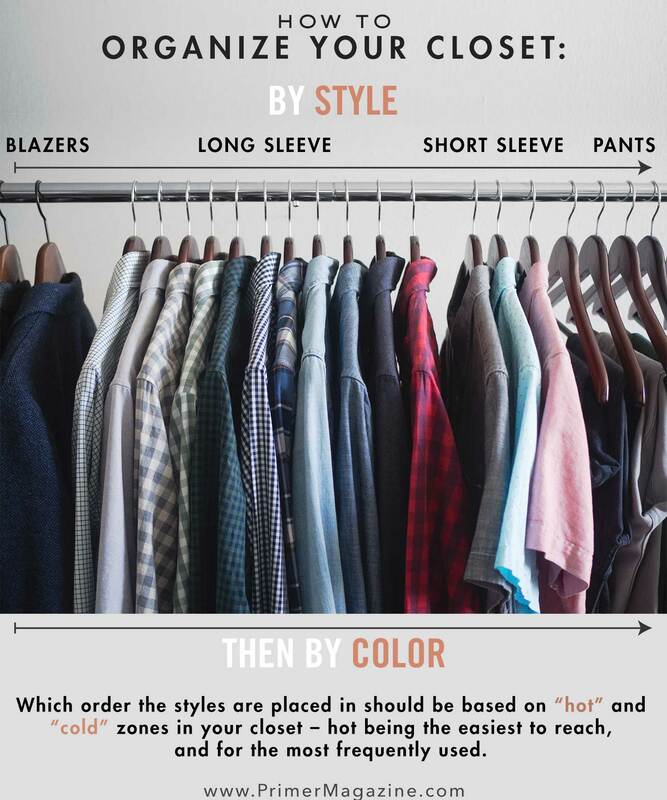 We’ve spoken with top experts in personal and closet organization and men’s fashion to bring you a simple, direct guide with ideas on how to organize your closet or wardrobe. It’s not the most complicated, fancy, or color-coded on purpose. This system is one you can implement in half an hour of dedicated effort, or in stages over a few days or weeks. We’ve kept it simple so you can get organized and focus on what matters most: looking and feeling your best. Clutter is your enemy, and clutter is caused by having too much stuff for your space. By constantly having to mentally skip over the things you never wear, you're less able to see the things you do and how they could go together. Here’s how you cull the herd and leave only the strong standing. 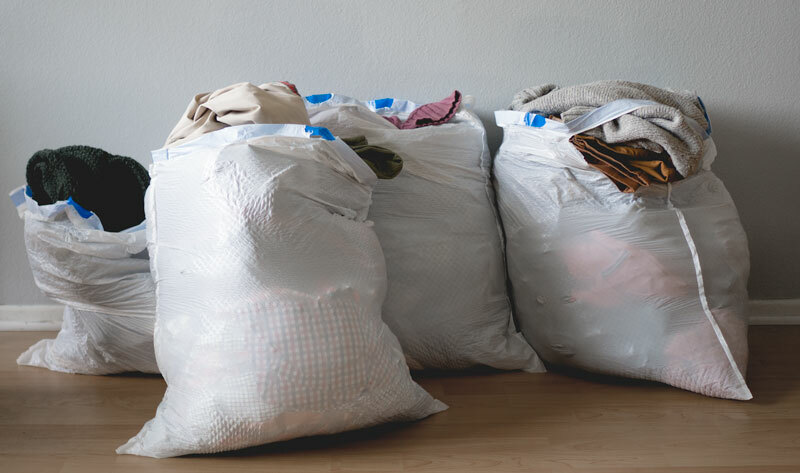 Primer's founder Andrew donated 4 overstuffed garbage bags of clothing this winter. Decluttering expert & speaker Alison Kero shared her simple three-part test for determining if you should keep or toss an item while organizing your closet. Whatever it is, it has to be something you Like, Use, and Wear. You have to like something, actively use it, and have worn it at least once in the past year. Haven’t worn something in one year? Automatic toss. Not certain you like it? Toss. Enjoy that paisley tux jacket you snagged on sale but never worn it? Toss, definitely toss. Turn all of your hangers the opposite direction, and turn them back the normal way after wearing them. After a specified period of time, donate all of the items that haven't been turned back. Closet organization is intimidating because there’s simply so many ways to go about it. Should you do it functionally? Autobiographically? We’ve solved that problem for you. Here, in two steps, is a simple organizational scheme that will last a lifetime. Hot Zones put your important pieces in easy reach. Important but off-season items should be kept in groups in your Cold Zones. Sweaters, long johns, etc. are winter-season examples, while summer-weight suits and pants can be stowed during the cold months. Closet organization experts have been known to get in knife fights and dance-offs over this next point: category vs color. Luckily, our experts Felice and Alison are in agreement: separate by style. Felice recommends, “For hanging clothes, break them down by style. When organizing tops, for example, hang by short sleeve, long sleeve, then sport coats, and so on. Same with pants: dress, khakis, jeans – then by color. Then you can see what you have, and it's easier and takes less time to put together an outfit.” If possible, she says, fold items like sweaters (for longevity) and sweatshirts (because they’re probably not what you’re picking out for work in the morning). If you need to hang them, however, do so in groups. The same rules apply for folded clothing: keep separate by style, with one shelf (or drawer) for t-shirts, sweatshirts, sweaters, and so on. At this point, you might well be saying, “This is great – if I had the space!” We hear you. Check out these closet organization ideas and hacks to both save space and make your wardrobe more visually organized (and therefore easier to use). Picking up a horizontally-oriented tie rack is a great place to start, and Ties.com has you covered with a bunch of styles depending on your space and how many ties you have. These racks are a life-saver and are one of my favorite closet organization ideas. A simple, durable hanging shelf instantly creates orderly storage space, especially if you have some vertical room to spare in your closet. Felice likes this hanging shelf that connects to a hanging bar. “This is good for light sweaters you wear with suit jackets, undershirts, and other lower-weight items,” she reports. Both of our experts agree the #1 way to store shoes is a shoe cubby. They’re cheap and you can organize them by usage: your go-to’s at eye level, so you don’t have to think hard about what to pair with your outfit. There’s a few reasons to upgrade your hangers. Matching hangers create a visually uniform presentation – no plastic colors or textures to interfere with clothing choices. Additionally, your clothes won’t fall off the hanger or hang improperly. But most importantly, proper hangers better protect your clothes. Nothing can distort the shoulders of a suit jacket or blazer or cause creases in places like collars than an ill-fitting, too-thin hanger. Ikea sells wood hangers for ridiculously cheap. Target isn’t far behind, cost-wise. If you’re really on a time crunch, try this nifty sub-two second method. 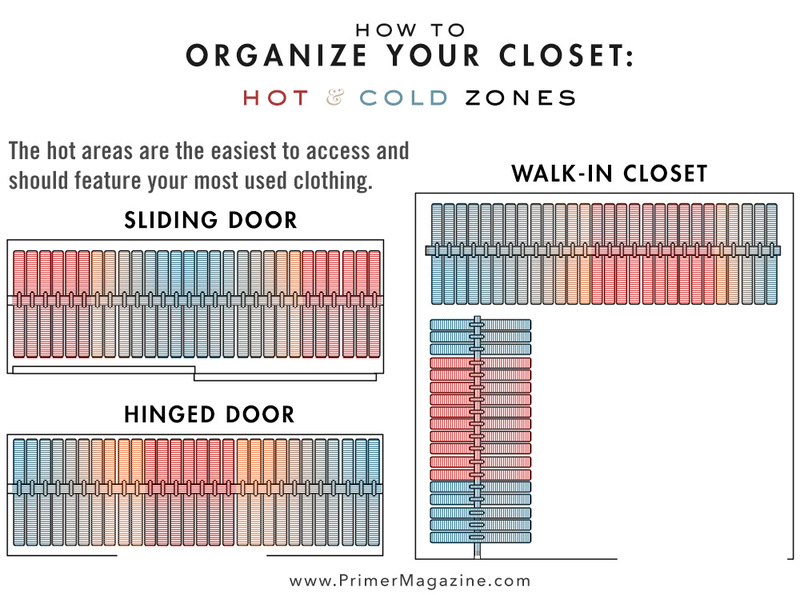 When it really comes down to it, any logical system for organizing your closet is better than a chaotic free-for-all. How do you organize your closet? 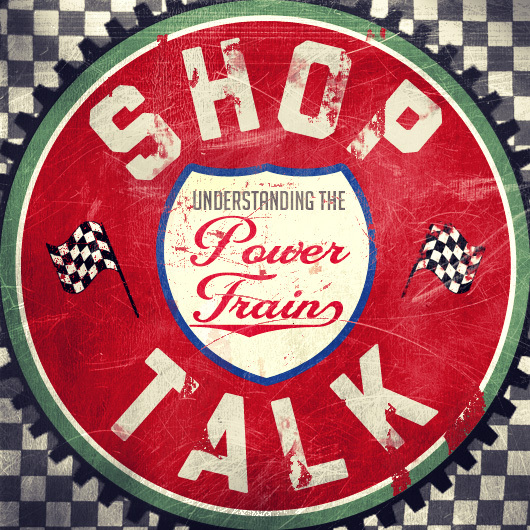 Did you love this guide or loathe it (I'm sure we'll be hearing from the color-coordination camp!)? 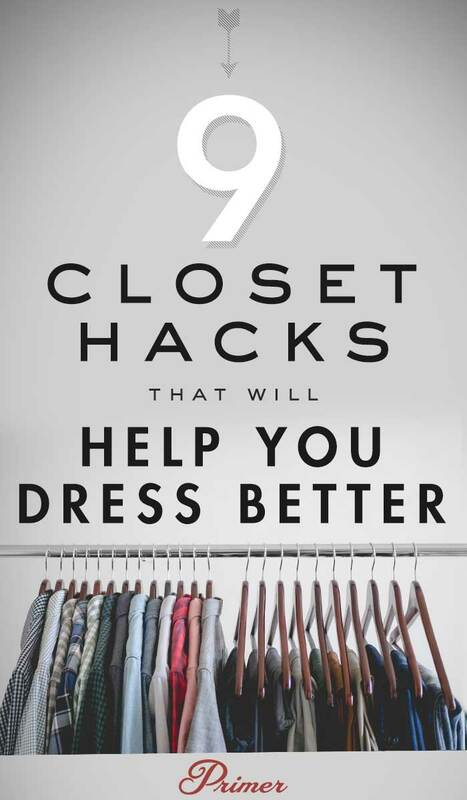 Let us know in the comments section and share your own closet-maximizing hacks! 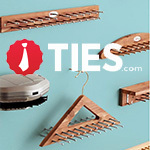 Special thanks to Ties.com for teaming up with us on this post, the masters of ties under $25 as well as a full line of tie storage options. Thanks for supporting the brands that support Primer! I’ve just recently gone through a closet purge and was shocked as $H!T by the amount of ¢[email protected] that I had! Cleaning the closet definitely left me with a sense of accomplishment. I definitely have my long sleeve shirts separated from my short sleeve shirts by hanging my pants in between them. I even organize my shirts by colors so that I’m not looking for my blues or my pinks or my browns in a mosh pit. My blazers I have in a separate closet with my coats and jackets. I’ve also know about the 2 second shirt fold (I found this delicious nugget about 3 years ago) and I can’t tell you how much of a time saver it is especially when you have so many t-shirts to fold. Even showed my parents how to do it and they don’t know how they survived, doing laundry of course, without it. It’s worth mentioning that purging old clothes is a little bit easier ever since H&M accepts donations. They use the donated clothing to shred and use for a sustainable resource for home insulation. They also give you a 15% off coupon for each bag you donate. Not bad when it comes time to renew some basics. Absolutely love it. I feel like a big dork because I already do most of this, but it took me till 32 to figure it out on my own. Would have loved to have this blog at 24. Great work, Mr. brown. I learned most of this the hard way after moving into an apt to help out a friend who’s roommate left with no notice. I had a walk in closet at my old place and had to downgrade to a closet that had just barely 3 ft of hanging rods and no storage. If you’re really short on space, while nice the wooden hangers do take up quite a bit of space. I would only us them for structured dress shirts and not every day button downs. I really like seeing the wardrobe of the author and the throwing clutter method I use myself. I end up throwing stuff I don’t wear every winter and summer. It’s a great way to keep myself organised and I’ll implement the different styles method with my limited space college wardrobe. I’ve always been a very neat and organized person and never considered myself a hoarder. Last year I had a few people talk to me about Marie Kondo’s book and how much of an impact it had on them. Didn’t think it would do much for me, but by the end of it, I was blown away by how much I was able to get rid of! Clothes, old books, CDs, etc. Not only did my place look even cleaner, but I felt SO much better! Currently doing another round of Kondo-ing and donated a few suits and pairs of shoes. By spring/summer I want my entire wardrobe to be only things that I love and want to wear all the time. I can’t get rid of books… Just can’t. 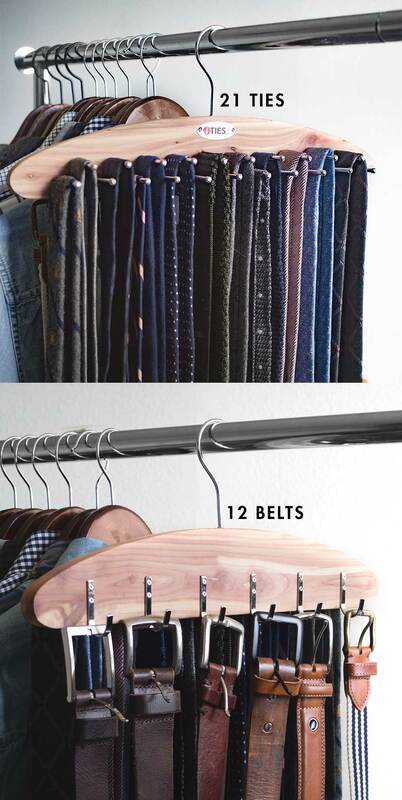 +1 for the tie/belt rack from Ties.com . I picked one up in Dec when they ran one of their 50% off sales, instant closet upgrade is right! Great tips, thanks! I am often a victim of “Hey, that looks good!” online shopping that when I receive the item it is an XL that is apparently made to fit a short fat guy. I am by no means “slim”, but slim typically fits me well because I have a long torso. Many brands seems to assume that XL needs to be wide, but no longer than an large. Fantastic article! I do some of these things but some are new and I love better organization. where did the author buy some of these shirts? JCrew? What’s the difference between using clothing and wearing clothing?